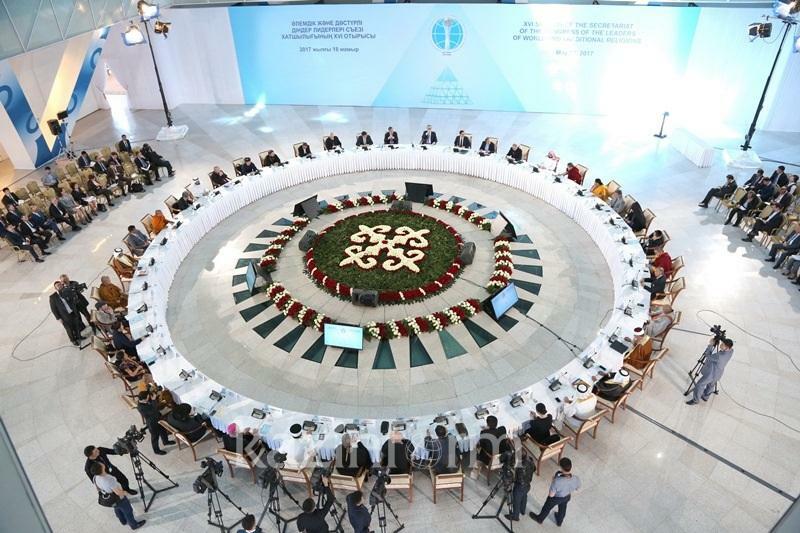 ASTANA – The 16th Session of the Secretariat of the Congress of the Leaders of World and Traditional Religions held May 18 set Oct. 10-11, 2018 as the date of the 6th Congress of Leaders World and Traditional Religions and discussed Kazakhstan’s UN Security Council priorities. “Our meeting today reflects our commitment to build mutual understanding and respect, to work together for the sake of peace, security and prosperity. The Congress of the Leaders of World and Traditional Religions offers an inclusive platform for dialogue embracing religious leaders and other stakeholders including heads of states and international organisations, prominent politicians and scientists as well as non-governmental organisations,” Kassym-Jomart Tokayev, Chairman of the Senate of the Parliament of Kazakhstan and head of the Secretariat of the Congress of the Leaders of World and Traditional Religions, told the gathering at the Palace of Peace and Harmony. Tokayev mentioned that last May the conference, Religions against Terrorism, brought together members of parliaments of different countries, experts and participants of the secretariat and stressed that these meetings should be continued. “Recent developments in Syria and Ukraine have demonstrated that geopolitical tensions between great powers are still high. The lack of unity impedes the fight against terrorism that has been flaring up in different parts of our planet. North Korea’s actions in violation of the Comprehensive Nuclear Test Ban Treaty pose a risk of nuclear catastrophe. … A decline in moral values is extremely dangerous as it imperils the souls and spirits of the people,” he emphasised. Tokayev added the global community may counter all these challenges and threats only through joint actions, constructive dialogue and seeking compromises. 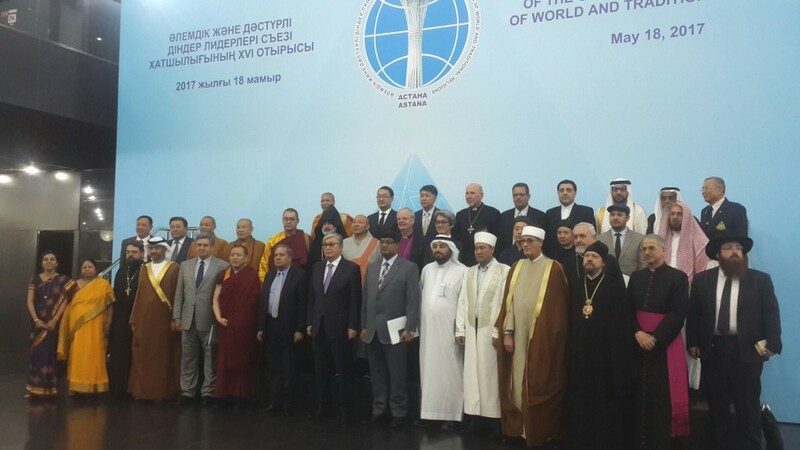 Every three years, leaders of world and traditional religions gather in Astana’s Palace of Peace and Harmony. Yerzhan Ashikbayev, Kazakh Deputy Foreign Minister, explained in an briefing with journalists that the focus was on various confessional and religious holidays when the date of the congress was being selected so all participants could fully dedicate their time to the work of the congress. Preparations for the congress, discussion of candidates nominated for the Astana International Award for Interfaith Dialogue and the Medal of Honour of the Congress were also on the agenda of the May 18 session. Adoption of the minutes of the 16th session of the Secretariat of the Congress and presentation of Kazakhstan’s priorities on the UN Security Council were other topics. “The first priority is ensuring the survival of humanity through a world free of nuclear weapons. Given the enormous contribution of Kazakhstan to global nuclear disarmament and non-proliferation processes and as a country that had suffered dire consequences of nuclear testing, we believe Kazakhstan has a moral right to demand a world free of nuclear weapons. In this regard, we seek to use the UN Security Council as a platform to advance our vision of nuclear disarmament and non-proliferation,” Ashikbayev said. The deputy minister also expressed deep concern about current challenges to global nuclear disarmament and non-proliferation. Kazakhstan condemns all actions of North Korea whose nuclear ballistic missile programme “presents a considerable challenge to global peace and security,” he said. “We are equally concerned with any other attempt to stop nuclear disarmament. Kazakhstan calls for all UN member nations, especially permanent members of the Security Council, to rid the world of nuclear weapons by 2045, which will mark the United Nations’ 100th anniversary from its foundation,” he noted. The second priority is preventing and ending military confrontation at regional and global levels. Peace and renunciation of war as a means of settling interstate problems is essential to the survival of humanity, according to Ashikbayev, who added that the third priority is to generate a model for a regional zone of peace and security cooperation and development in Central Asia. He also said the combined efforts of all states, international and regional organisations and other key stakeholders to combat international terrorism and violent extremism is the fourth and key priority of Kazakhstan’s membership on the UN Security Council. Peace and security in Africa is the fifth priority, according to the deputy minister. Global action to prevent wars and conflicts, protect human rights, deliver sustainable development goals and combat climate change is the sixth priority while improving the Security Council and the entire UN system to the needs of the 21st century is Kazakhstan’s seventh priority on the Security Council. 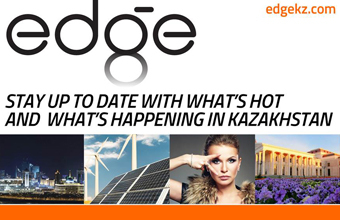 As part of the session’s cultural programme, international representatives visited pavilions of EXPO 2017 and the National Museum, according to the press service of the Senate of the Parliament of Kazakhstan. “The congress started as a platform for dialogue among religious leaders. The fifth congress in 2015 was dedicated to continuing a dialogue with political leaders because today’s problems that clergy and religious leaders are concerned about are equal to what the entire global community is concerned about. These are the problems of terrorism, radicalisation of societies, extremist ideologies, climate change; all of that suggests teamwork of religious an spiritual leaders along with political leaders that’s why this dialogue will go on. The congress will build its work to consolidate the voices of religious leaders in advancing the solutions on the most pressing issues of present-day agenda,” Ashikbayev commented. Islam, Christianity, Judaism, Buddhism, Taoism, Shinto, Hinduism representatives participated in the meeting as well as leaders of international organisations and guests, including Matthew Hodes, director of the United Nations Alliance of Civilizations, Rashid Ahmed Al Teneiji, advisor to the Minister of State for Tolerance of the United Arab Emirates, Phichai Tovivich, secretary general of the Office of the World Peace Envoy and others.